Want to enjoy fresh fruit and vegetable juice daily but don't have the time? Here is a simple solution! 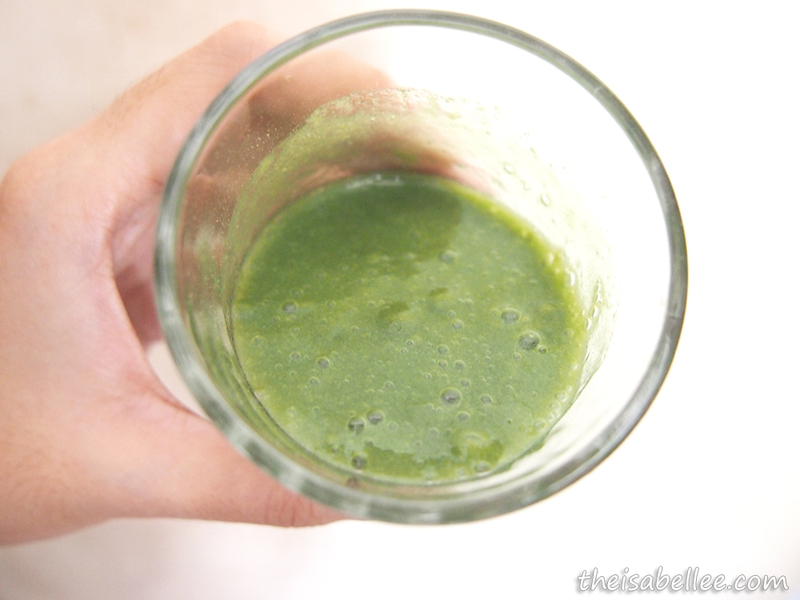 Fine Green Smoothie provides the nutrition your body needs in powder form so they're easy to consume and store. So easy, you won't even need a blender or shaker. Note: I do believe that real fruits and veges are better so think of this as a top up and not to replace them completely. 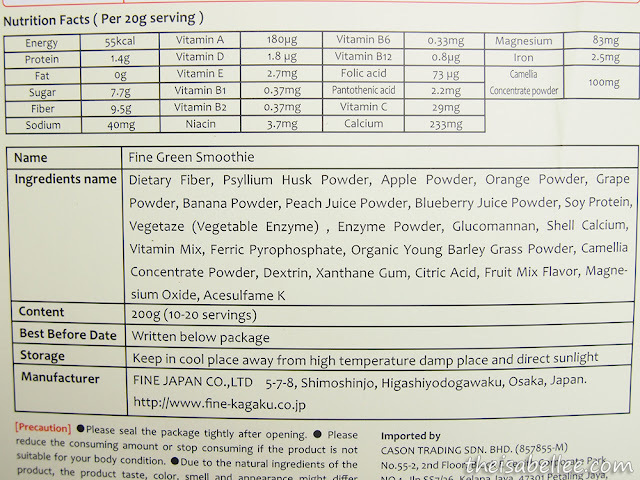 FINE Green Smoothie ingredients list. 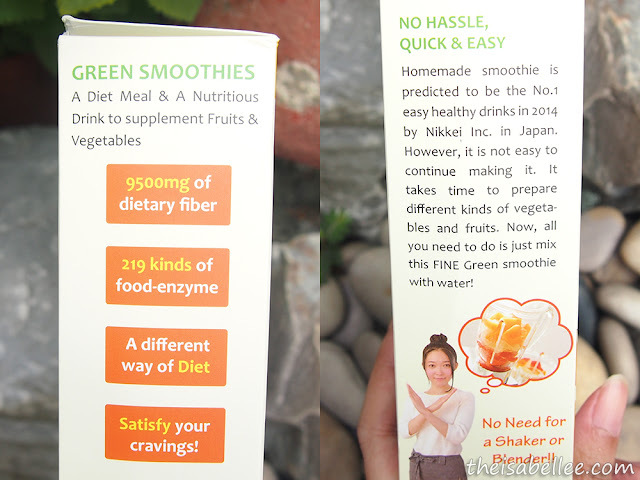 It is packed with fiber, 11 types of vitamins, 129 kinds of food enzyme, calcium, magnesium and iron. 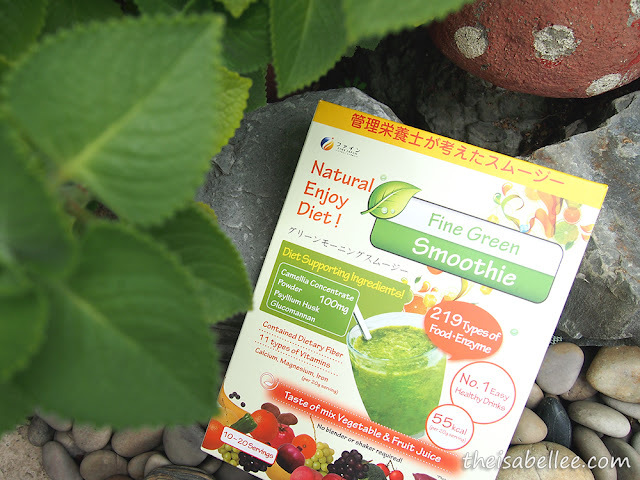 20g of Fine Green Smoothie contains about half of your daily recommended dietary fiber of 20g. Instead of separate sachets, it comes in a big pack of 200g (10-20 servings, depending on how you drink it). Has a zip lock to keep it fresh. I would personally prefer sachets as I think they're more convenient, cleaner and remain fresher. You either take 20g (two scoops) as a meal replacement or 10g (one scoop) to supplement your normal meals. 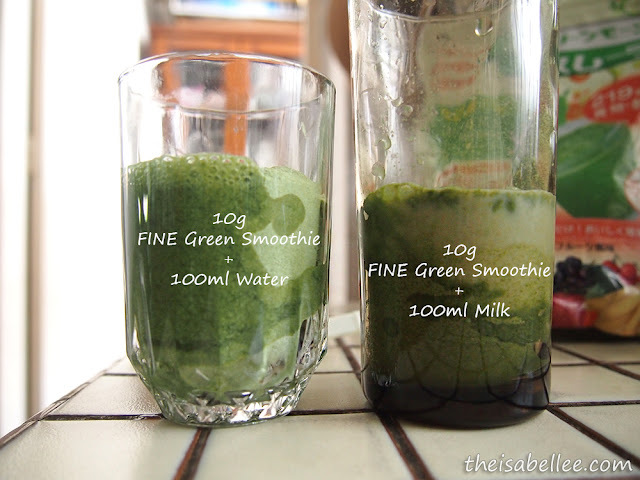 Note: I do not encourage you to replace every meal with this as you do need other nutrients. Perhaps with this drink, you can cut down on the portion. FYI, I'm using low fat milk on the right. 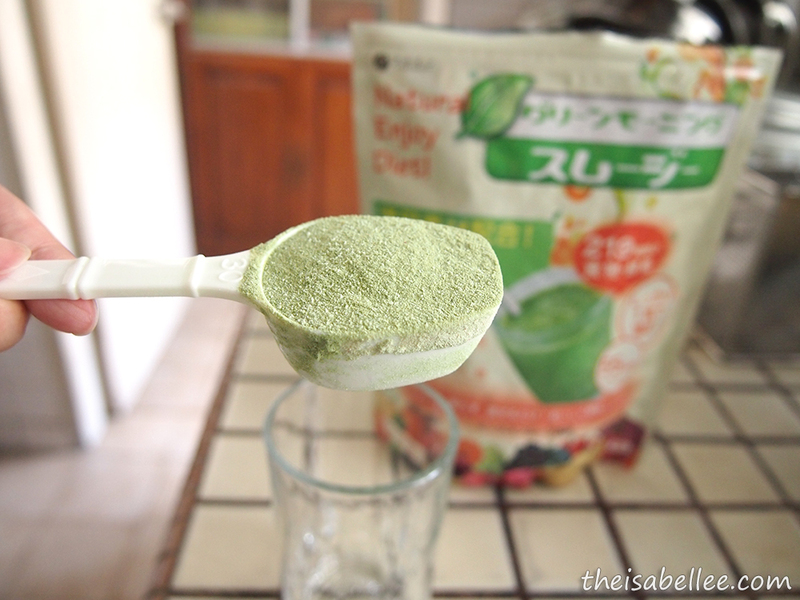 It took a while to mix but this is normal for fiber drinks. It smells and taste very sweet. Very, very sweet. 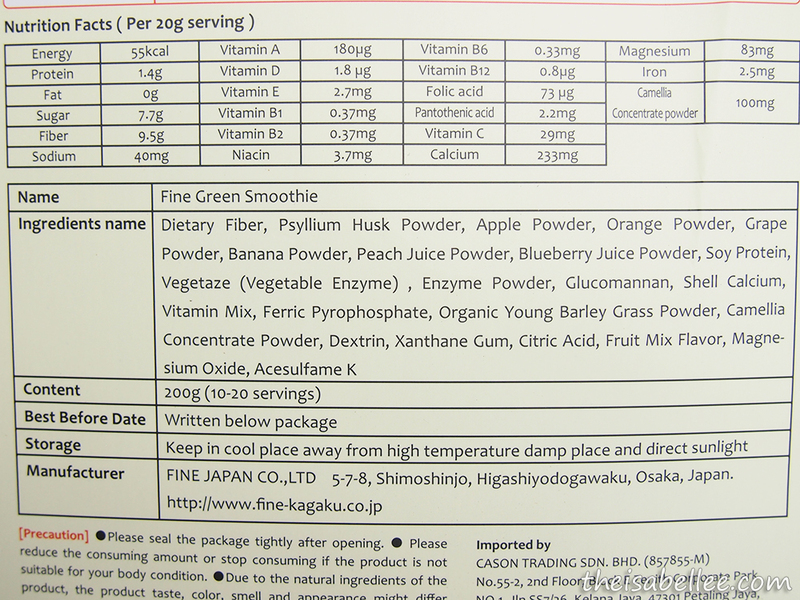 I saw in the ingredients list that it contains fruit mix flavour. You might wanna reduce that, eh? 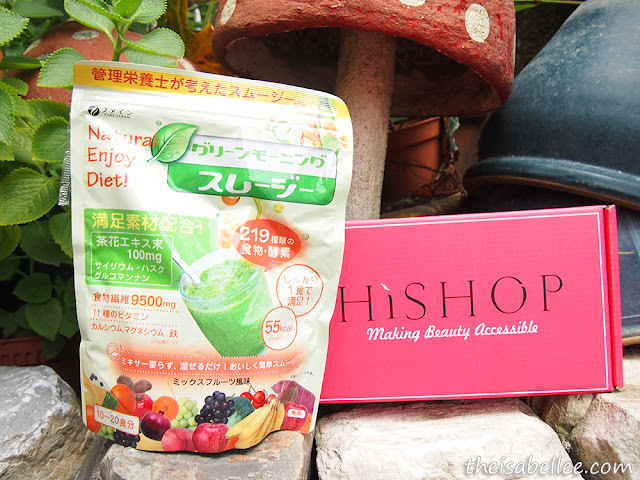 The taste is similar to those colourful fruit flavoured gummies. I did not find much difference between water and milk. I'll stick to the former. Urgh.. I will definitely mix it with more water next time. I found it to be SUPER DUPER thick and gooey. The sweetness and thickness made it hard to swallow. 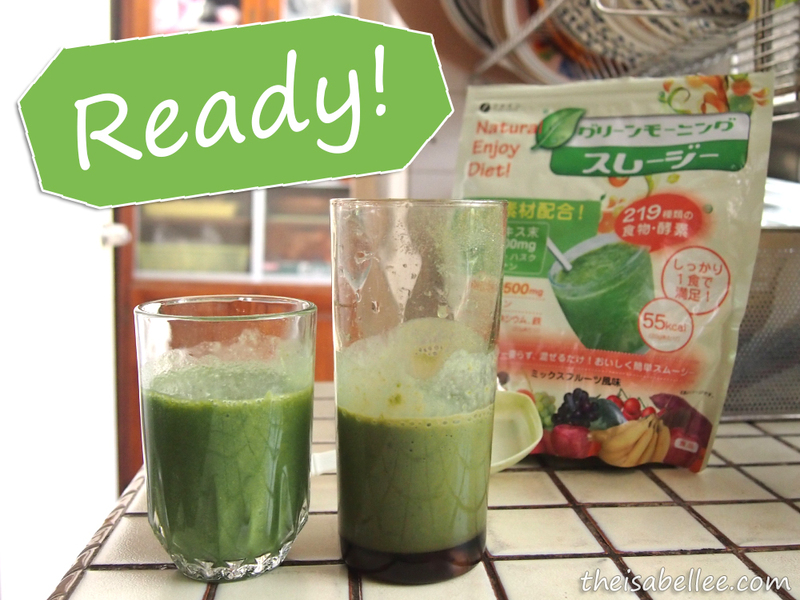 The ingredients expand with water so it makes you feel full. Many fiber drinks have the same consistency but this is one of the more filling ones I've tried so far. How long did it take for you to go hungry after drinking one glass? I don't mind them as they help my body to expel the bad stuff and are a source of nutrients. 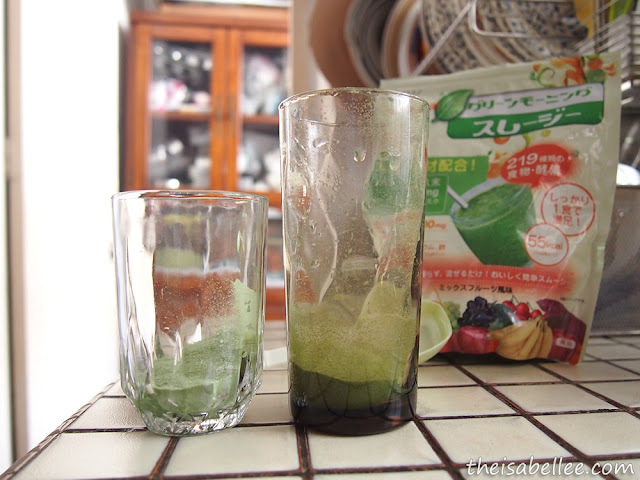 Only try this if you like sweet drinks! 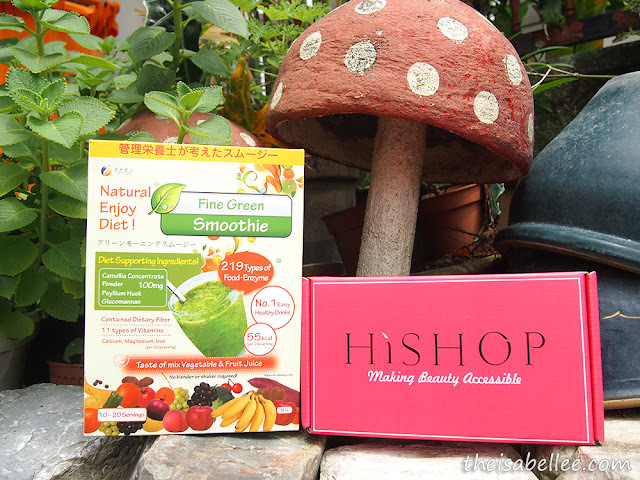 Very nice reviews about this packed Green drink. One of my cousins is also taking this and suggested me to try this. Now after reading your reviews I am also thinking to start drinking it.